I am so excited that you can now Shop by Your Size. This is going to be such a beneficial feature for our Clients. 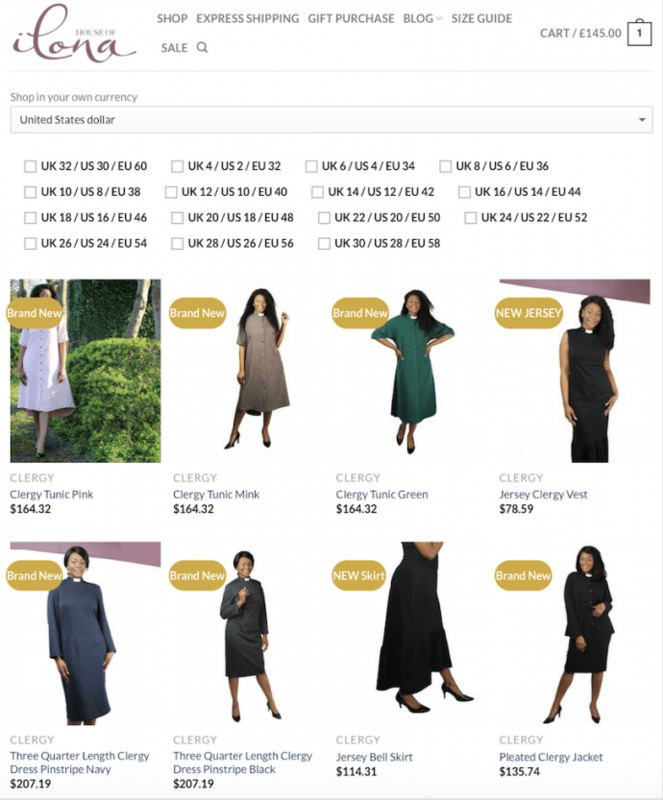 Just click your size and Every Clergy Dress, Clergy Jacket, Clergy Blouse and Skirt we have available for You, will be shown. This is really timely, as we’re testing a new way of doing things here. So far, we’ve had a smaller range with a wide variety of sizes (2-32). Now we’re testing a wider Limited Edition range with a smaller choice of sizes. The idea is that if a style; sells really well, has a long waiting list and is in demand, we will then reproduce it across more sizes. We have so many exciting things to come. We are just getting started. Glad you’re along for the journey. It’s an honor to serve you, always! This entry was posted in Blog and tagged @houseofilona, It's so much easier to shop now. Shop by Your Size.